After his brother Erik is left brain damaged from a car crash, Kevin finds himself a reluctant carer; the only clear-headed person in a world of invalids and mindless shoppers. 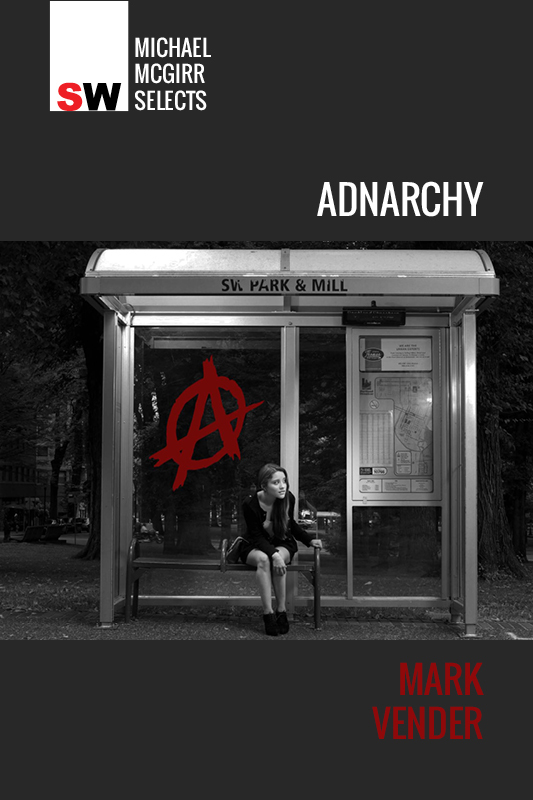 Mark Vender’s ‘Adnarchy’ tells of Kevin’s struggle to find normalcy in his life. Receding into a world of online gaming and binge eating, he tries to create joy in small amusements – defacing ads and making jokes, in the hope that one day his brother will recover. Mark Vender is a writer, sub-editor and translator. After living abroad for a number of years, he is now experiencing the fears and joys of returning to the ‘adnarchy’ of Australia. His short fiction has appeared in print in the Spineless Wonders anthology Escape, and online at Seizure’s AltTxt project.